Имате въпрос към Krabi Riverview Hotel? Сгушен в сърцето на Град Краби, Krabi Riverview Hotel е идеалното място, от което можете да започнете Вашето приключение в Краби. Хотелът се намира се на 0.3 km от центъра на града, поради което неговите гостите могат безпроблемно да се наслаждават на всички градски атракции. С удобното си местоположение хотелът предлага лесен достъп до всички градски забележителности, които задължително трябва да се видят. Krabi Riverview Hotel предлага безупречно обслужване и необходимите удобства, за да удовлетвори гостите си. Хотелът предлага достъп до широк спектър от услуги като безплатен WiFi достъп във всички стаи, 24-часова охрана, ежедневно почистване, таксиметрови услуги, билетни услуги. 14 стаи са разположени на 4 етажа като във всяка една от тях цари неповторимото усещане за домашен уют. Модерен комфорт с удобства като телевизор с плосък екран, безжичен интернет достъп (безплатен), стаи за непушачи, климатик, бюро са на разположение в определени стаи. Освен това в хотела можете да се възползвате от множество предложения за приятно прекарване на свободното време. Открийте интригуващата комбинация от професионално обслужване и широка гама удобства в Krabi Riverview Hotel. хорошие номера, жили в де люкс, большая кровать, есть кушетка для ребенка в углу с панорамными окнами на город, всё чисто, уютно, рано выезжали из отеля, нам сделали завтраки в дорогу в контейнерочках, в нескольких шагах от отеля рынок продуктовый, магазин 7/11 , красивая набережная, парк с фонтанами и вечерней торговлей едой (макашницы), знаменитый памятник - краб. Отель рекомендую. Good location and just a few minutes of walking distance to night market and about 10 mins of walking distance to food stalls by the river. Staffs were polite and helpful. Amenities were new and room was clean. All good except no elevator to access upper floors. We choose delux room, the room was OK, aircon didnt work and sounds like broken (so noise) the shower tap was broken so it was to hard to open(the staff fix it) We chould change to another room where aircon work but didnt get any refund of the different between standard and delux room which was pity. As the other room was not what we paid for. 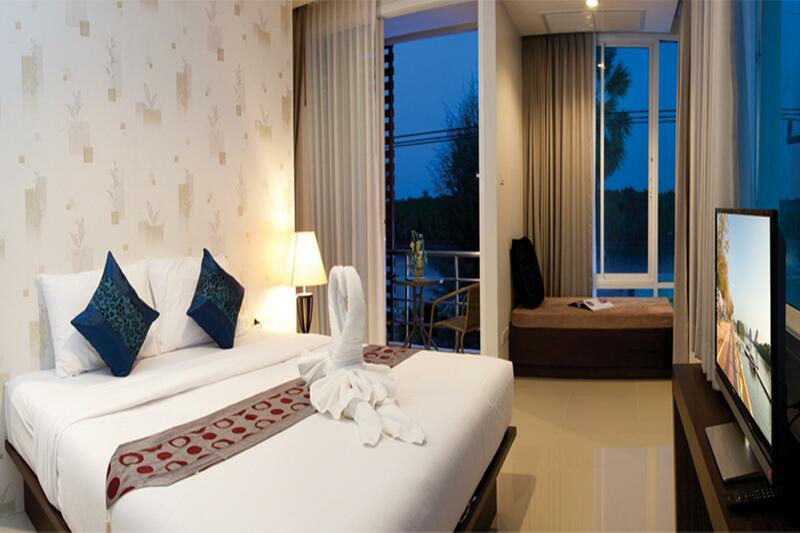 Sorry We will improve it better Krabi River View Hotel. Thanks so much for staying with us,and glad that you had a nice time here. Hope we can serve you again next time. Thank you very much. Thank you for your review. Hope to stay with us agian. Krabi River View Hotel. We couldn't get into our usual hotel so went to this place which was next door and right on River. They didn't have twin beds facing River so took a room facing city. It was bigger than the double rooms and we loved it. Clean, good aircon and Lotus Macau channel on tv so we could watch English language movies. Highly recommended . Nice enough hotel right on the riverfront and a very short walk for the Walking Street night market. Room on 2nd floor overlooking the river was clean, with a safe , tea/coffee facilities, nice bathroom , and nice size balcony.Staff were pleasant enough, some English spoken , breakfast was basic. Not much to see in Krabi town , can easily be done in a day. Boat trips available just across the road , songthaews stop right outside hotel door - we got one to the Tiger Temple for 50 baht. Main attraction here is the night market which the hotel is very close to. All things are good except the shower head. Should have use a smoother water flow rather then the razor sharp water flow shower head type, which will be very painful and it will be worst when you started to have Sun Burn. it's just three minutes walk from the night market and the hotel is next to the river. It's a little bit noisy at night with traffic but it was not a big deal for us. The room was very clean and big enough. The staff could be more enthusiastic if I have to find something for them to improve! Overall, it is a very nice hotel in Keanu town. We didn't try the breakfast so didn't know too much about the quality of the food. 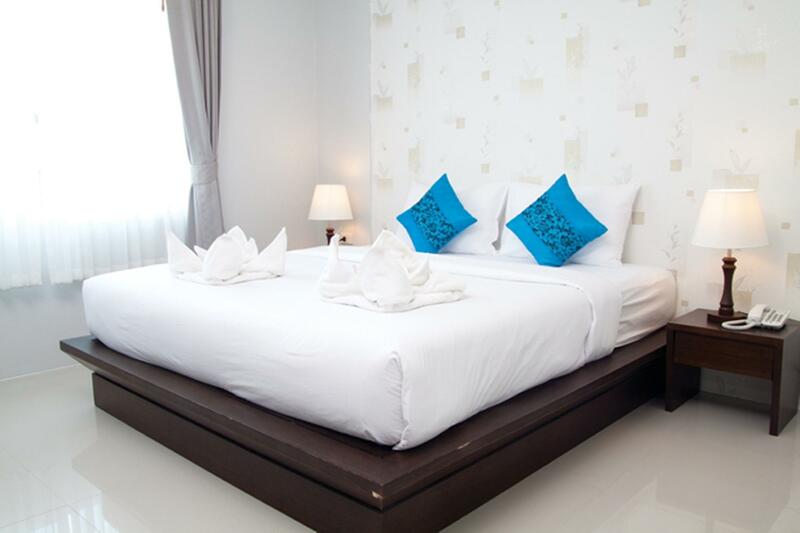 Clean, in center Krabi town, close to nightmarket and walkingstreet. 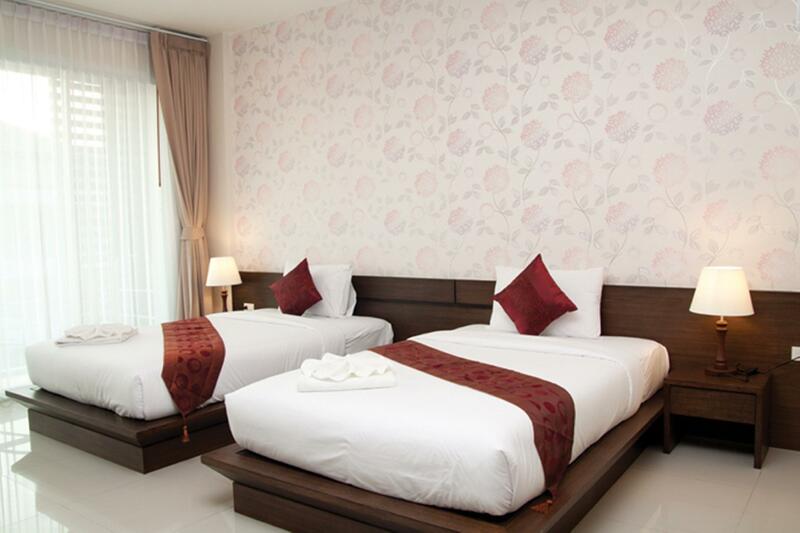 Rooms are large, comfortable and clean. Bathroom modern, shower good, waterboiler and coffee free in room. Minibar in room. 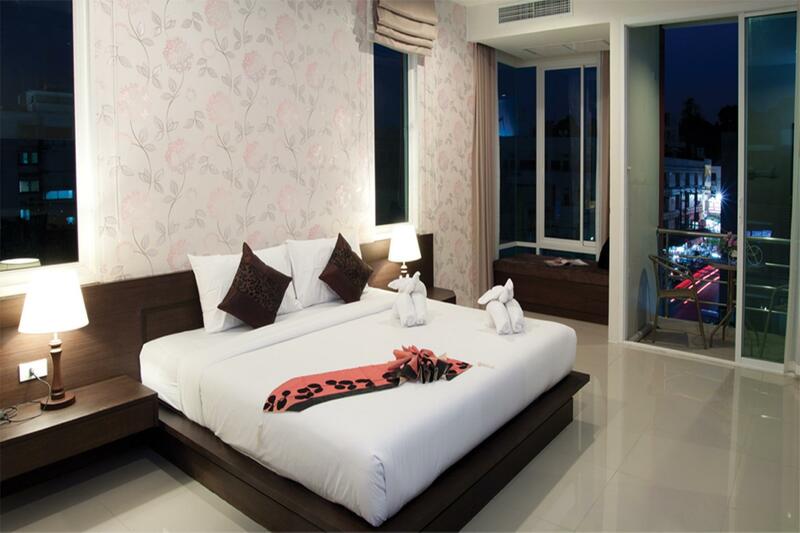 opposite old Pier in Krabi town and within minutes from the Night Foodmarket and the weekend walkingstreet. Good transport to airport to book via hotel. The sheets weren't fresh, no elevator and no one to help carry luggage up stairs. No accommodation for anyone with a disability. I've had 5 knee operations and while I'm mobile and don't need a cane or any support to walk, it's uncomfortable having to carry luggage up and down stairs. Dear Dallas. We apologize and we will improve. Thank you for your feedback. Central location in Krabi City. Close to everything. Comfortable beds, nice and clean, no elevator to 4th floor, but lovely view of river. Hi Alexander, Thanks so much for staying with us,and glad that you had a nice time here. Hope we can serve you again next time. Lovely place. Modern. Well equipped. Only gripe is being on 3rd floor and no lift. Otherwise good value. Hi Edward, Thanks so much for staying with us,and glad that you had a nice time here. Hope we can serve you again next time. Dear Mr. Safrul, Thank you for your comment,and we would like to apologize for any inconvenient caused. For safe deposit box,it can be used normally. Although we are a budget hotel,but survice-minded has always been one of our top priorities. Kindly be informed that we have already called-in and warned our staff regarding the service issue. Thank you for staying with us. Haved spent 1 night here,everything was good to me. Good location-nice view,very closed to walking street ,trasportation, markets,and shops. The hotel room itself was clean,wifi was available, staff were nice,and welcoming. The last but not least,the hotel restaurant had various yummy food,and free breakfast was included in the hotel price. Overall,I would recommend this hotel to my friends,and I myself will also choose to stay here again for my next visit to Krabi. Hi Perhatti, Thanks so much for staying with us,and glad that you had a nice time here. Hope we can serve you again next time. The hotel has a good restaurant attached and is very good value. Staff are helpful and pleasant, I would stay there again. My room was big, modern and had all the expected extras. The hotel does not have any elevator (but not sure how many floors). I was on the 4th floor and had to carry my bags up a narrow staircase. It is in a very busy area but was still quiet during the evening. On the whole, I liked the hotel and would stay there again and recommend it to others. Hi Alan, It is with our grateful to welcoming you.Thanks for choosing us. FYI,our hotel has only 4 floors,no elevator.Our aoplogies for this inconvenience. Looking to serve you again soon.